Tsai Ing-wen may have won the election, but she faces a range of important challenges ahead. As has been noted already at The Diplomat, last week’s presidential election in Taiwan saw the Democratic Progressive Party beat the Kuomintang with 56 percent of the popular vote, thus paving the way for Tsai Ing-wen to ascend to the presidency. While this is no doubt historic, but Tsai and the DPP will face tremendous challenges in the next four years. 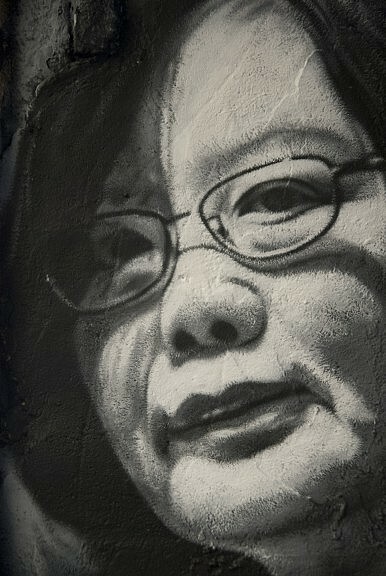 For starters, Tsai and her team will face grave economic challenges in a global market facing turmoil. Despite being an Asian “tiger” economy, Taiwan has the worst performance among the four, lagging far behind South Korea, Singapore, and Hong Kong. For almost the last two decades, Taiwan’s growth rate has been stagnating around 2 percent. Many college graduates cannot find decent jobs, hence the so called “22k” dilemma. Even the best college graduates who managed to find employment receive low salaries that are a far cry from comparable positions in Beijing and Shanghai. Moreover, Taiwan’s education system is in a disarray, with many first rate professors leaving Taiwan for higher salaries. For instance, Taiwan’s professors only earn about one fifth of Hong Kong’s professors. Exports are another challenge. Taiwan’s exports heavily rely on the mainland Chinese market, with over 40 percent of exports heading there. Taiwan is trying to join the TPP, hoping to benefit from access to U.S. markets. However, local pressures on issues like U.S. beef pose a threat to Taiwan’s TPP membership. Can Tsai and her team lead Taiwan out of this economic hole? The picture is not positive if we look at the DPP’s past economic performance between 2000 and 2008. Another more serious challenge facing Tsai Ing-wen is the issue of “1992 consensus.” Tsai has never openly acknowledged the “1992 consensus,” thus raising suspicions over her true position on the relationship between the mainland and Taiwan. The biggest worry from the mainland’s perspective is that Tsai would oppose the consensus and gradually move toward formal independence. Although so far Tsai and the DPP have avoided provoking Beijing on the independence issue, sooner or later she will need to clarify her position on this issue. If her answer is not satisfactory to the mainland side, then some kind of punishment may follow, with serious diplomatic and economic consequences. Among the pro-independence crowd in Taiwan, there is a false hope that the United States and Japan would come to Taiwan’s aid if a conflict were to break out between the mainland and Taiwan. This is a very dangerous misperception. Last year Rand Corporation produced a report looking at a potential conflict between China and the United States over the Taiwan issue and warned that the U.S. would face tremendous challenges from the Chinese military. Over the next 10 to 15 years, China’s military will only get stronger and stronger, thereby decreasing the incentives for the United States to get drawn into a conflict in the Taiwan Strait. Moreover, U.S. public opinion does not view Taiwan’s survival as a top priority. A survey conducted by the Chicago Council on Global Affairs in 2014 showed that only 26 percent of Americans agree with the idea of sending troops to help Taiwan, compared to 47 percent who support South Korea. This result has been very consistent over time with other surveys since at least 1982. Given these challenges, Tsai and the DPP will need to solve a lot of local economic and social problems first before they can even think about the bigger issue of cross-strait relations. Obviously the DPP cannot rule Taiwan alone; they must work together with the KMT and other smaller parties. Between now and May, both Taipei and Beijing can work together to reach some kind of consensus that will help maintain peace and stability in cross-strait relations. If that fails, we may enter a period of unforeseen instability in cross-strait relations that may affect U.S.-China ties as well. A One-Sided Consensus Slowly Falls to Pieces Across the Taiwan StraitThe Taipei-Beijing 'Diplomatic Truce' Crumbles: What Next for Taiwan?Taiwan's Former President Ma Has Overseas Travel Plans ScuttledTaiwan's Elections: What to Watch ForWhat Does the Ma-Xi Meeting Mean for China, Taiwan and America?